I don’t know about you, but updating the operating system on my trading computer is more likely to cause me to groan than to cheer. First, there’s the aggravating part of updating, including figuring out what no longer works. Then it takes a while to get comfortable with the new interface. But eventually, I reach the point where I’m ready to learn about the cool new functionality I had been ignoring. So if you have Windows 10 installed on your trading computer, now could be a good time to look into some useful features many traders have missed. You can create shortcuts for any of your applications. Just select the URL in the Chrome browser bar and drag it to your desktop. If you add it to your taskbar, it becomes much easier to navigate. As a trader, if you are dealing with a lot of open applications and windows, this process can give you faster access to high-priority applications. Voice is considered the future of computer user interface. We are so familiar with the keyboard and mouse that it’s difficult to get in the habit of voice commands. Windows 10 provides the voice assistant Cortana. You can use it to get things done faster and improve your productivity. That being said, before you go whole hog with this, check out my other posts on Cortana (here and here) to make sure you’re proceeding with full information. Occasionally your PC might stall after you download a new application. You can always restart the PC in safe mode to minimize any problems. All you have to do is hold the “Shift” button when you restart. You can resolve the issue in this mode and then go back to standard mode. Your Windows 10 comes with an Xbox app. One of the great features is its ability to record the screen. In the Xbox app, you can use Win+G to open the Game bar. You can then select either the Screenshot or the Start Recording option. If you want to send trading information to a fellow trader or explain how to do something, this feature can help. Here’s a way you may not have heard about to protect your trading computer from security threats: log into a limited-access user account for your daily work. You probably didn’t realize that by routinely accessing the internet from an account with administrative rights, you’re making it super easy for the bad guys to mess with your files. To set up a new limited-access user on Windows 10, go to Settings > Accounts (see full instructions here). Even if you are the only one using your trading computer, it’s a good idea to create one of these accounts and use it for your regular trading sessions. Save your administrator account for those times when you need to download software. Windows 10 allows you to create virtual desktops. Instead of using a single desktop cluttered with all possible applications, you can view clusters of applications in your different virtual desktops. So, for example, you might want to keep trading apps in a separate desktop from your personal apps. This will help you concentrate on the task at hand, while allowing you to easily switch focus when needed. Windows Hello is a new feature in Windows 10 that lets you use fingerprints and iris scans to authenticate users. PCs do need to have the hardware to take advantage of this feature. 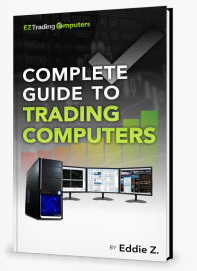 But if you’re at all concerned about someone messing with your trading computer, this could help you sleep better at night. Windows 10 comes with Battery Saver mode. So if you are using a laptop, this feature can help you prolong your battery’s staying power. You will get a chance to explore cutting-edge applications this way. However, beware of malicious software. Only download apps from trusted sources.